I recently posted an article about the importance of properly naming your website and webpage headlines as well as adding in the right (and the right amount of) keywords. With the economy being what it is, many people will be starting up new online businesses soon. In order to help with their efforts, I decided to write up a quick entry on the importance of creating an SEO friendly business name. Make sure that your business name does NOT contain any popular or highly competitive keywords. A name like “Jill’s Discount Toys” is more likely to get ranked poorly if “discount toys” is a hot keyword, even if a potential consumer searches for Jill’s company by name. The reason: Because if “discount toys” is a competitive keyword then everyone is going to use it. Think about acronyms. Can your business name easily be shortened into initials? Think IBM, MRI, AIG or UNH. All of these are businesses with names that the general public thought would be easier to shorten to a set of initials, and therefore search for them that way. The problem is that there’s always more than one business out there with the same acronym and the likelihood of not being drowned out (especially as a small and brand new business) by those other guys is pretty slim. I’ll give an example: Let’s say your business name is the “Salvatore Engineering Operation”. 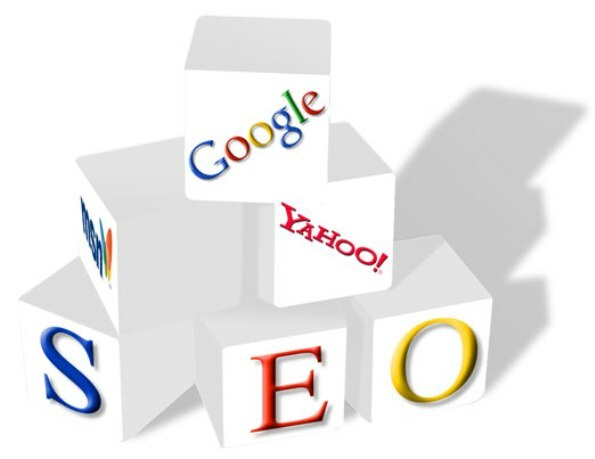 It’s very easy for the general population to search for your business as SEO… well we all know what that is going to bring up and it’s not Salvatore Engineering Operation. So be careful when advertising and putting your name out there. Be memorable. Easier said than done, I know. Using a clever name, logo or tagline can help people remember your name better. People also remember colorful marketing, unusual color schemes and well organized and branded company logos/names. When people can make an association between your name and something clever, it is easier for them to retrieve that information from the back of their minds. This will also help to prevent people from turning your business name into an acronym. A common scenario: “Uh, I know it started with an “S”… “S-S-Something” Engineering Operation… oh well, I’ll just Google SEO.) They may also decide to search for the only words they remember: “Engineering Operation.” These two very general keywords will bring up all kinds of companies, none of which are probably yours. Don’t forget to think locally. If you think your name may be turned into a set of initials, (and you’re absolutely stuck on naming yourself that) then think about putting your state, providence, country or whatever place you feel necessary into your name. “SEO of Maine” or “Napa Valley SEO” may get your business name a little closer to the first page of search results – although it’s still unlikely in the case of “SEO”. Don’t spend your SEO budget unwisely. You need a place in the rankings, but your new company name just isn’t raking in the hits. So you start to think about PPC and Sponsored Ads. The problem with PPC ads when your company name consists of competitive keywords or ellipses, is that you are going to illicit a lot of poor quality clicks. In other words, anyone searching for an SEO company may click on your PPC ad, but they won’t help to generate an income since your SEO is an engineering company. Without the right name those PPC ads are just costing you money. Do your research. Get a list of ideas together for your company name and start searching for them online. Also do some searches for abbreviations, possible misspellings, partial names and any other possible ways that a searcher can screw up those business names you’ve thought up. You can even try “reverse engineering” the process by looking up the least popular keywords you can find and building your company name from those. Above all be flexible. Don’t get stuck on one name and be stubborn about it. If it won’t work, then it won’t work – end of story. Those are some good points. But, with a lot of competition out there offering very similar items for free, it?s important to be unique, and really stress relationship building.